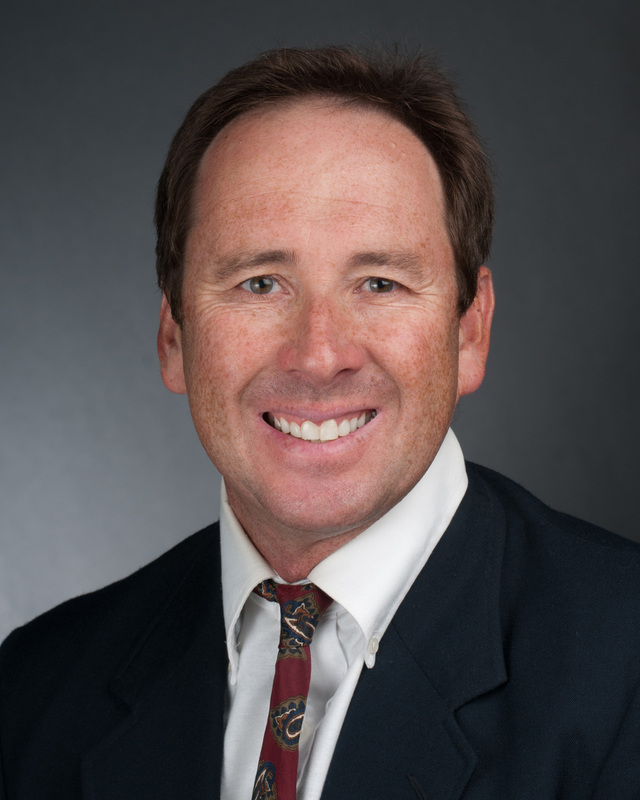 APPLETON, Wis. — Lawrence’s University Steve Francour was named Midwest Conference men’s tennis Coach of the Year in a vote by league coaches at the league championships on Sunday. In his third season at Lawrence, Francour coached the Vikings to a fourth-place finish in the league. The Vikings earned their first berth in the four-team Midwest Conference Tournament since the 2013 season. The Vikings, who finished the season with a 12-10 record, have seen a big turnaround since Francour’s first season. In 2014, Lawrence won just four matches. MADISON, Wis. — Lawrence University’s No. 1 doubles team lost a tough battle in the title match on Sunday at the Midwest Conference Championships at Nielsen Tennis Stadium. Grinnell College’s Tommy Pitcher and Jose Coloma downed David Jumes and Brian DeCorte 8-6, which was the same score when the teams met a week ago. 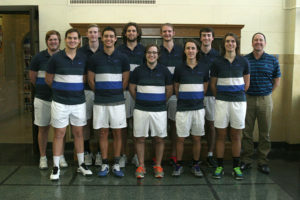 Jumes and DeCorte reached the title match with an 8-4 win over St. Norbert College in the quarterfinals and a 9-7 win over Lake Forest College in the semifinals. Lawrence’s No. 3 doubles team of Adam Busch and Izaya Turenne posted an 8-3 win over Carroll University in the quarterfinals before falling 8-1 to the eventual champions from Grinnell in the semifinals. At No. 2 doubles, the team of David Brooker and Bill Schuman-Kline lost 8-4 in the championship quarterfinals but came back to post an 8-4 win over Monmouth College’s Landon Walker and Saxon Day to take the consolation title. MADISON, Wis. — Brian DeCorte reached the semifinals at No. 2 Saturday and three Lawrence University men’s tennis players took consolation titles to pace the Vikings during the singles competition at the Midwest Conference Championships at Nielsen Tennis Stadium. DeCorte fell to Grinnell College’s Cole Miller 6-3, 7-5 in the championship semifinals. DeCorte won a three-set battle with Monmouth College’s Landon Walker, 6-3, 2-6, 6-1 in the quarterfinals. Lawrence’s David Jumes lost in the championship quarterfinals at No. 1 but bounced back to win two matches in the consolation flight. He beat Illinois College’s Miguel Vaca 8-3 for the consolation championship. Bill Schuman-Kline lost in the championship quarterfinals at No. 3 but also won a pair of matches to take the consolation title. He routed St. Norbert College’s Kyle Battle 8-0 in the consolation championship. At No. 5, Adam Busch lost a tight 6-4, 6-4 decision in the championship quarterfinals but came back to take the consolation title. Busch topped Carroll University’s 8-2 in the consolation final. At No. 4, Mitch Kasprzyk won his opening round match 6-0, 6-3 over Illinois College’s T.J. Lawal before falling to Lake Forest College’s Dragan Trivanovic 6-0, 6-2 in the quarterfinals. Ethan Perushek lost a close 7-6, 7-5 battle in the championship quarterfinals and reached the consolation final before falling to Carroll’s Joe Bove 8-2. The doubles competition is set for Sunday. MADISON, Wis. — The Grinnell College men’s tennis team won the first five matches Friday and downed Lawrence University 5-0 in the semifinals of the Midwest Conference Tournament at Nielsen Tennis Stadium. Grinnell (28-5) advances to the championship match, and Lawrence ends its season with a 12-10 record. The Vikings were making their first appearance in the MWC Tournament since 2013. The Pioneers picked up impressive wins at No. 1 and No. 3 doubles, and Lawrence’s David Brooker and Bill Schuman-Kline battled at No. 2 but fell 8-5. Grinnell then closed out the match with wins at Nos. 3 and 6 singles. 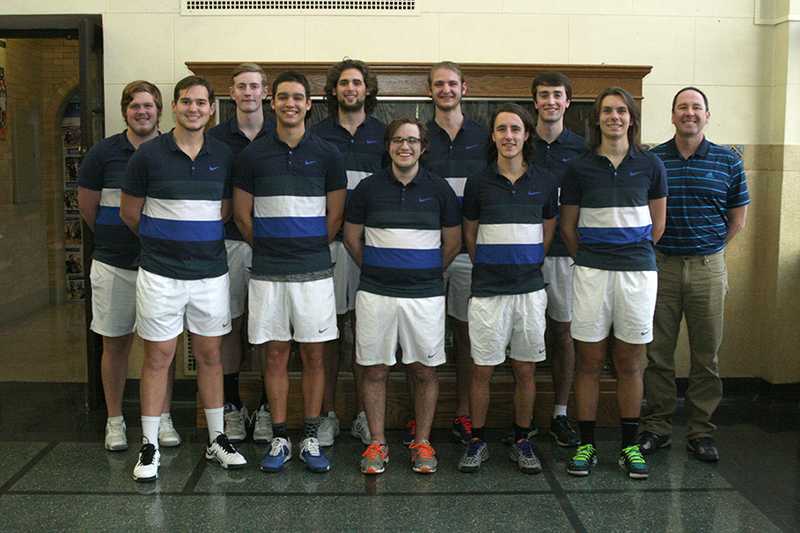 The Lawrence men’s tennis team has qualified for the four-team Midwest Conference Tournament on Friday. APPLETON, Wis. — Steve Francour knew when he arrived at Lawrence University in the fall of 2013 there was work to be done with the men’s tennis program. He also knew he had something to work with. Three years later, the Vikings are back in the Midwest Conference Tournament and will be playing for a shot at reaching the NCAA Division III Tournament this weekend. Lawrence plays Grinnell College at 8:30 a.m. Friday in the semifinals of the MWC Tournament at Nielsen Tennis Stadium at the University of Wisconsin. The winner faces either Lake Forest College or Monmouth College for a berth in the NCAA Tournament. Just making the team tournament is a step forward for the Vikings, who won just four matches in Francour’s first season after finishing second in the league in 2013. Lawrence went 12-9 this season and posted a 6-3 mark in league play. “That’s a quantum leap in three years. That’s not an easy jump. That doesn’t happen. It’s exciting to see where we’re going,” Francour said. Brian DeCorte was a freshman starter back in 2013, and fellow seniors Adam Busch, Mitch Kasprzyk and Ethan Perushek were all on the squad. Over the past three years, Lawrence has added quality players in David Jumes, Izaya Turenne, Bill Schuman-Kline and David Brooker, who are all a part of the lineup. “I’m glad that we could finish the season for our four seniors on a high note, because they took second at conference their freshman year and we all wanted to send them back again,” Jumes said. This team’s season came to a head this past Saturday against Cornell College. A win over the Rams would clinch a MWC Tournament for Lawrence. The Vikings swept the doubles matches and it was seniors Busch and Perushek who delivered wins in singles to push Lawrence past the Rams 5-4. “The guys were extremely excited. Both teams, Cornell and us, knew what was at stake. Sometimes that makes it harder to perform,” Francour said. The Vikings now face a team they lost to just a week ago, but Francour wants his team to enjoy the moment. The singles and doubles championships will be contested over the weekend. Jumes and DeCorte are Lawrence’s top doubles team and are expected to contend for the title. APPLETON, Wis. — The Lawrence University men’s tennis team swept the doubles matches Saturday, and senior Adam Busch picked up the clinching win in a 5-4 victory over Cornell College at the Lawrence Courts. The victory clinched a berth in the four-team Midwest Conference Tournament for the Vikings. With the match tied at 4-4, Busch rallied against Cornell’s Tom Greene. After dropping the first set 6-3, Busch picked up a 7-5 victory in the second set and rolled past Greene 6-1 in the third. Fellow senior Ethan Perushek gave Lawrence (12-9, 6-3 MWC) its other point in singles with a 6-2, 6-3 win over Alex Rand at No. 6. Lawrence dominated the three doubles matches as the No. 1 team of David Jumes and Brian DeCorte, the No. 2 duo of David Brooker and Bill Schuman-Kline and the No. 3 team of Busch and Izaya Turenne all posted convincing wins. APPLETON, Wis. — David Jumes picked up a victory at No. 1 singles Saturday, but the Lawrence University men’s tennis team fell 8-1 to Grinnell College in a Midwest Conference match at the Lawrence Courts. Jumes topped Cole Miller 6-2, 6-7, 1-0 to earn his 15th singles victory of the season for the Vikings (11-9, 5-3 MWC). Miller battled back to win the second set tiebreaker, but Jumes won the final five points of the super-tiebreaker to take the match. With the victory, Grinnell (25-5, 7-0) edged closer to clinching the MWC regular-season title. LAKE FOREST, Ill. — The Lake Forest College men’s tennis team downed Lawrence University 8-1 in a Midwest Conference match on Saturday. Lawrence’s lone victory on the afternoon came at No. 1 singles where David Jumes and Brian DeCorte topped Dan Pivonka and John Snider 9-8. The Vikings won the tiebreaker 9-7. Lawrence fell to 11-8 on the season and 5-2 in conference play. The Foresters are now 11-7 and 4-1 in the league. WAUKESHA, Wis. — Adam Busch’s victory at No. 5 singles lifted the Lawrence University men’s tennis team to a 5-4 Midwest Conference victory at Carroll University on Saturday. The Vikings were leading the match 4-3 when Busch closed out a 6-4, 7-6 victory over Andrew Nemcek to Lawrence the victory. Lawrence (11-7, 5-1 MWC) grabbed a 2-1 lead after the doubles teams of David Jumes and Brian DeCorte at No. 1 and Bill Schuman-Kline and David Brooker at No. 2 were both victorious. Schuman-Kline at No. 3 singles and DeCorte at No. 2 then both won in straight sets to set the stage for Busch’s match-clinching victory. GALESBURG, Ill. — The Lawrence University men’s tennis team routed Knox College 9-0 in a Midwest Conference match on Sunday. The Vikings (10-7, 4-1 MWC) shuffled some players in the doubles lineup as Bill Schuman-Kline and David Brooker played No. 1 and Kieran Laursen and Ben Tomhave played No. 2. Both teams were 8-1 winners. The Vikings rolled through the top five singles matches, dropping just 11 games total. Lawrence received a forfeit at No. 6 and at No. 3 doubles. Brian DeCorte was perfect on the match as he won 6-0, 6-0 at No. 2 singles, and both David Jumes at No. 1 and Ethan Perushek at No. 5 dropped just one game in winning in straight sets.